Nokia is the newest entrant in the smart phone niche with several Windows 8 powered smart phones launched under the Nokia Lumia flagship. These smart phones might not have flawless interfaces like the Samasung Galaxy range, but they are nevertheless a great buy as far as the prices are concerned and the basic features when compared side by side. Between the Nokia Lumia 920 and the Nokia Lumia 820, whichever handset you buy, you get a diverse set of apps and features all powered by the formidable Windows 8 OS with a dual-core processor at the helm of operations. With a robust yet bulky build, the Nokia Lumia 920 offers you great value for money. Built with a dual-core processor and a 1GB RAM storage space, you have a 32GB expandable memory option should you want to store files or multitask with ease. The touch screen is sharp and compared to HTC and Motorola models provides you with a better resolution and contrast levels, making it a better option for the money you spend on it. Moreover even experts rave about the OS and call the Lumia 920 one of the best experiences you would ever have with the Windows 8 interface, which seems like a pretty good compliment. The apps that are pre-installed in the smart phone are wonderful and are of actual value when compared to the mindless apps that you find on other smart phones. Nokia Drive, City Lens, and cloud computing options make your life a lot easier so perhaps the Nokia Lumia 920 is a great buy? There are always a few flaws however and on this handset the camera functions are disappointing, considering the fact that Nokia trumpeted loud and clear about the improved efficiency of the lens and the flash light settings. If you’re looking for a fully functional smart phone with notable features at low prices, the Nokia Lumia 920 is a wonderful buying option. For those who find the Nokia Lumia 920 expensive, you have another smart phone from the Nokia stable – the Nokia Lumia 820, which is refreshingly innovative, completely stylish and totally functional, and would cost you a lot less than the Nokia Lumia 920. The Windows 8 OS here is full of fun-filled captions, an enjoyable interface, and has a touch screen that works even in the most appalling weather conditions. 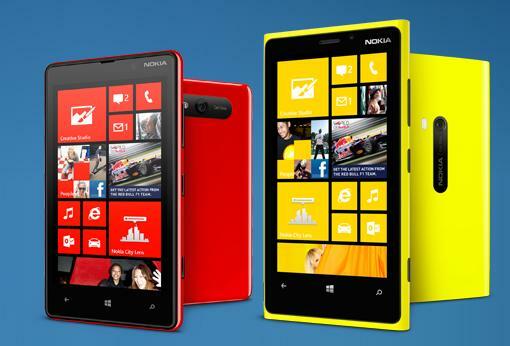 Built with a snap-dragon dual-core processor and a 1GB RAM, the Nokia Lumia 820 can accept memory cards of up to 64 GB. However, it has just 8 GB of internal storage space, which means you would have limited multitasking facilities. The apps are useful to the user, like every other Nokia smart phone and the camera is average. There are swappable covers, great Wi-Fi connectivity options, good battery life and a whole range of syncing and networking amenities. However, when you compare it to similar Android-powered phones, you may find it a tad expensive for what you actually get. Nevertheless, the Nokia Lumia 820 is a great choice on account of its innovative interface, powerful back-up, and the robust design, all for a fairly reasonable price. Phil Turner has looked at Orange sim only contracts and is nearly persuaded that they are right for him.